Do you want to know an interesting black sand beach? 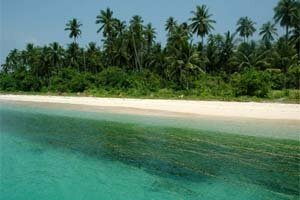 The name is Sulamadaha Beach which is located in Sulamadaha village, North Maluku Province, not far from the main city Ternate. 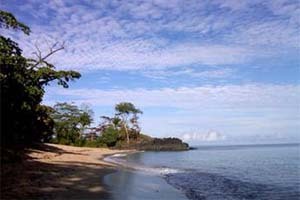 Despite the black sand the Sulamadaha beach is the main recreation site (beach) in Ternate due to the clear water and many corals and kinds of fishes, some of them are rare. 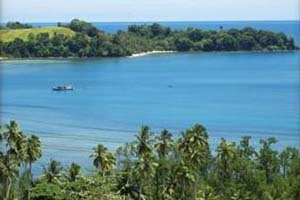 In front of Sulamadaha Beach is the Hiri Island, which used to be an hiding place for Sultan Muhammad Djabir Syah in avoiding the Dutch army. The center of the island is made of a vulcano and it consists mostly of green plants and trees. This view makes Sulamadaha Beach even more beautiful and clement. 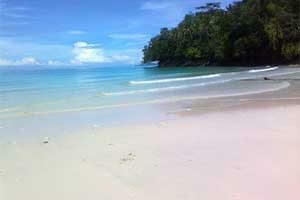 Beside Hiri Island close by the beach is the pyramid shaped and white sand Saomadaha Gulf. 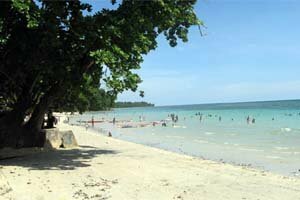 The extremely clear water and beautiful corals and fishes make this gulf a great spot for diving and snorkeling. 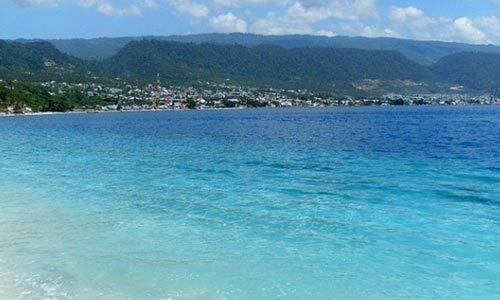 This beach is about 14 km from downtown Ternate and can be easily reached by public transport from Terntate, it will take about an hour to get to the beach. 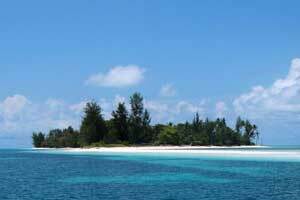 You might want to rent a boat for IDR 20,000 per hour to get to Hiri Island. Need place to stay in Ternate? 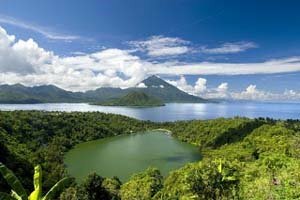 Ternate is an islands city located at the bottom of Mount Gamalama in Maluku Utara Province. There are 5 inhabited islands and 3 uninhabited islands. 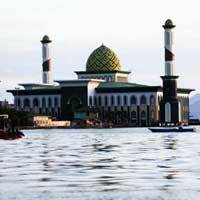 There are many nature and culture tourism spots you need to visit while in Ternate. 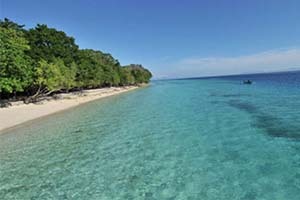 Look for more Cheap Flights to Ternate.